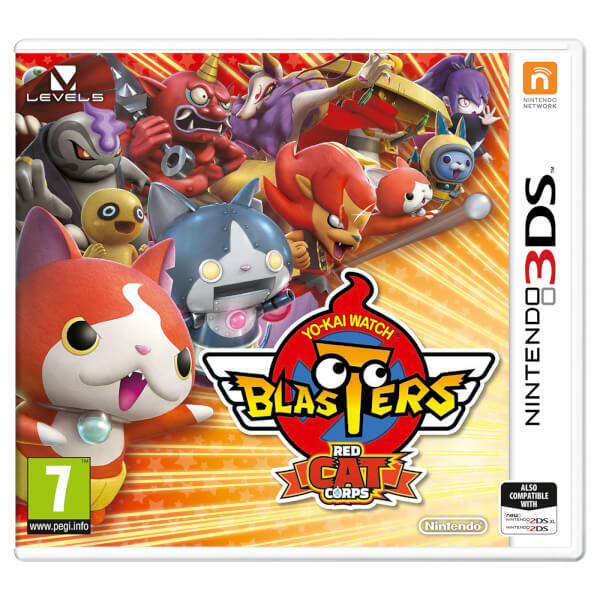 Join Jibanyan and friends to defeat the menacing Yo-kai threat in YO-KAI WATCH BLASTERS: Red Cat Corps and White Dog Squad on Nintendo 3DS family systems! 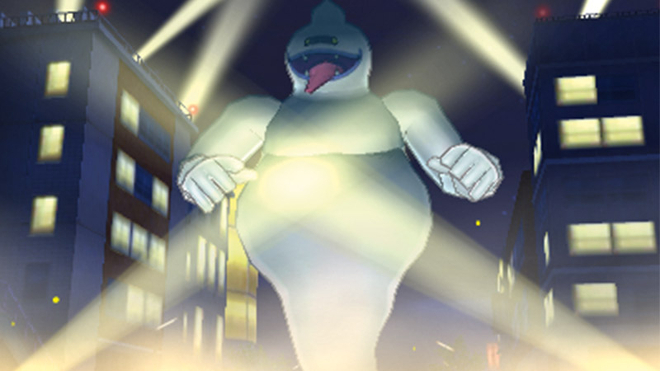 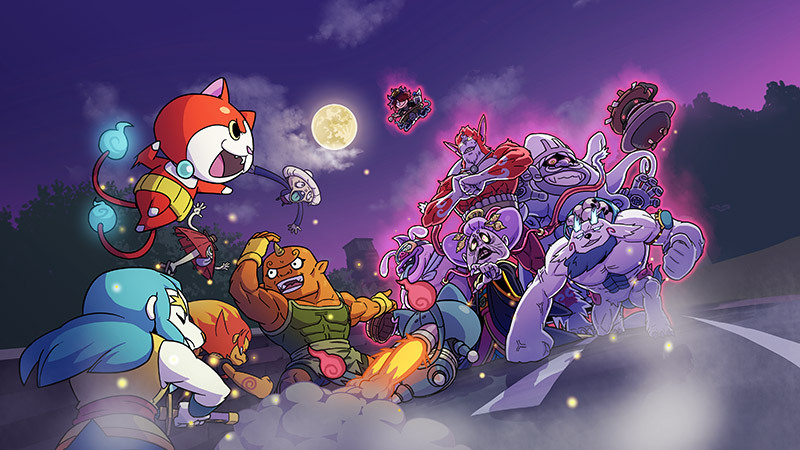 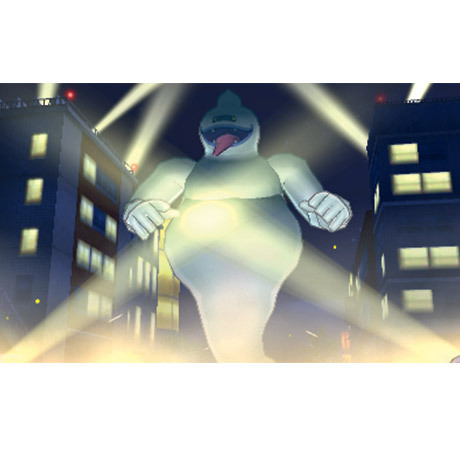 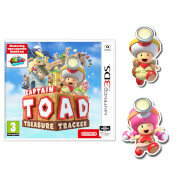 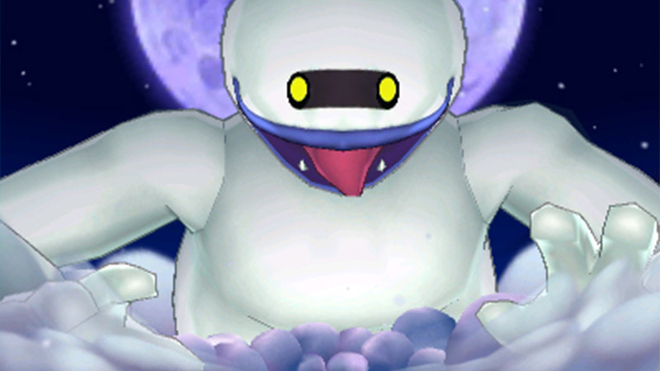 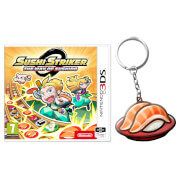 Each of the two versions of the game – YO-KAI WATCH BLASTERS: Red Cat Corps or YO-KAI WATCH BLASTERS: White Dog Squad – contains different Yo-kai, missions and bosses. 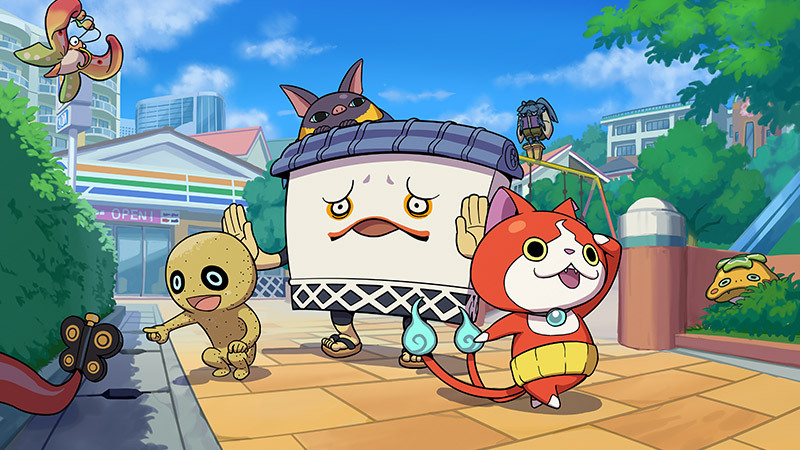 By trading between the two, you can collect all the Yo-kai! 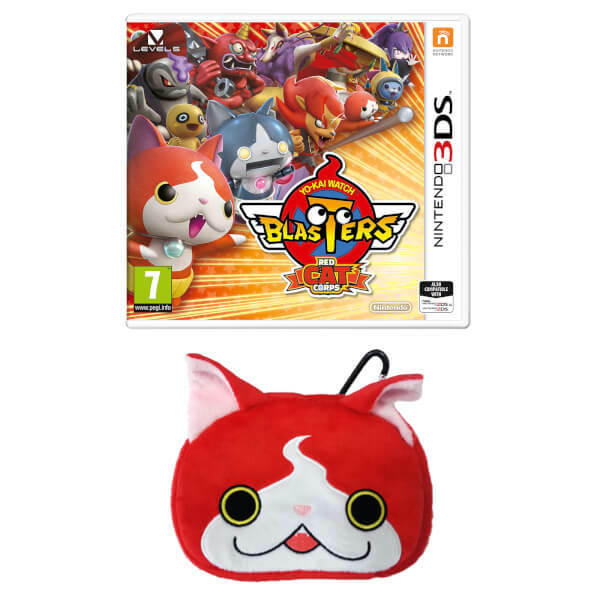 This bundle includes a Jibanyan Multi-Case. 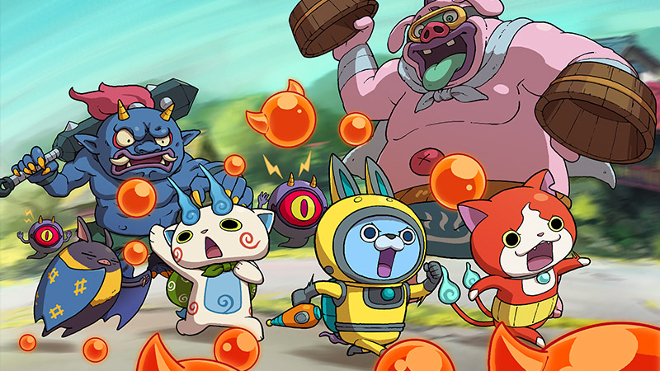 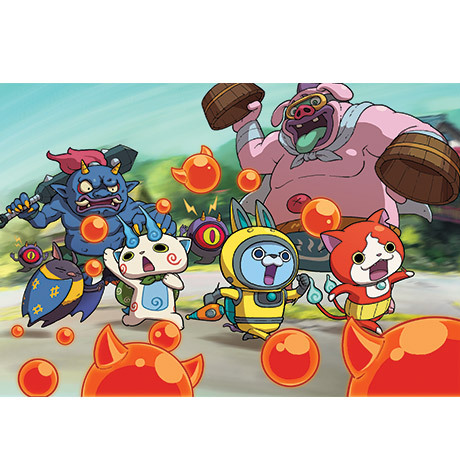 Join Jibanyan and his Blasters team in action-packed battles to stop the masterminds behind a series of Yo-kai shenanigans! 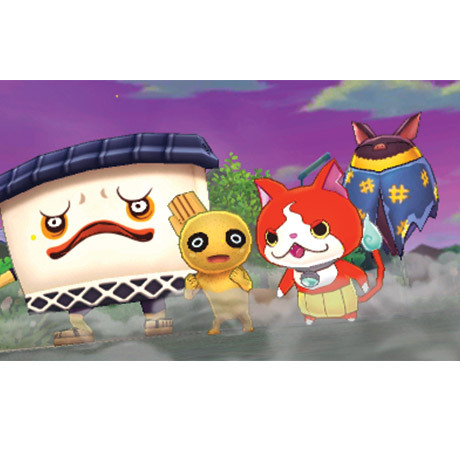 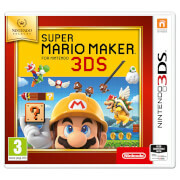 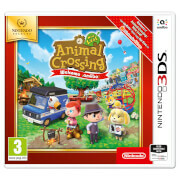 Take down enemy Yo-kai and Big Bosses using skills and Soultimate Moves with up to 3 other friends. As you tackle missions, befriend new Yo-kai to amplify your team's awesomeness. Train with Sgt. 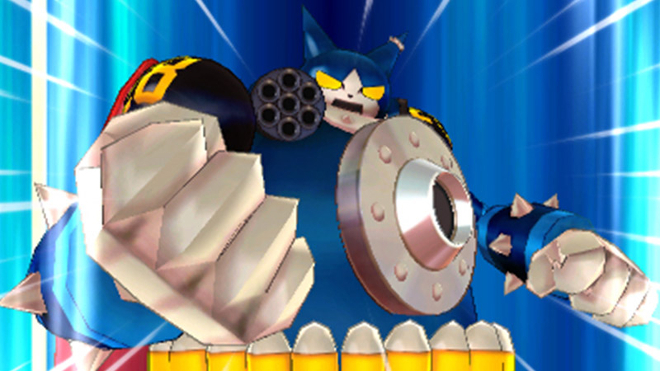 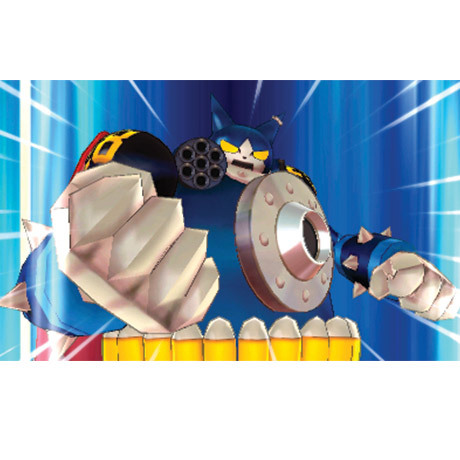 Burly to become the strongest Blasters team there is! 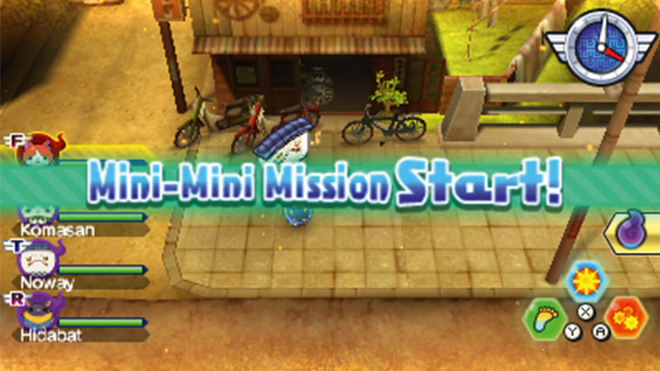 As you complete missions, gather Oni Orbs and items to level up or forge equipment to power up your team. 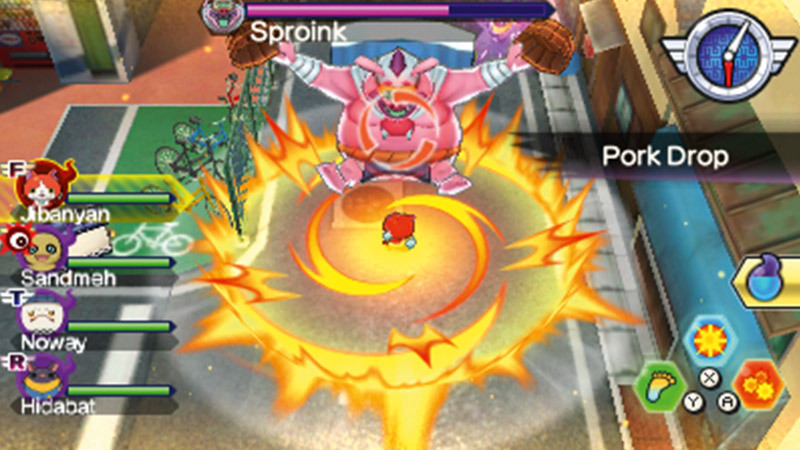 Some missions, bosses, and Yo-kai are exclusive to each version. 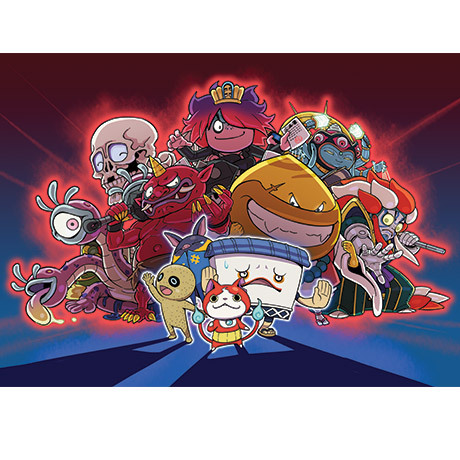 Trade Yo-kai between versions to collect them all! 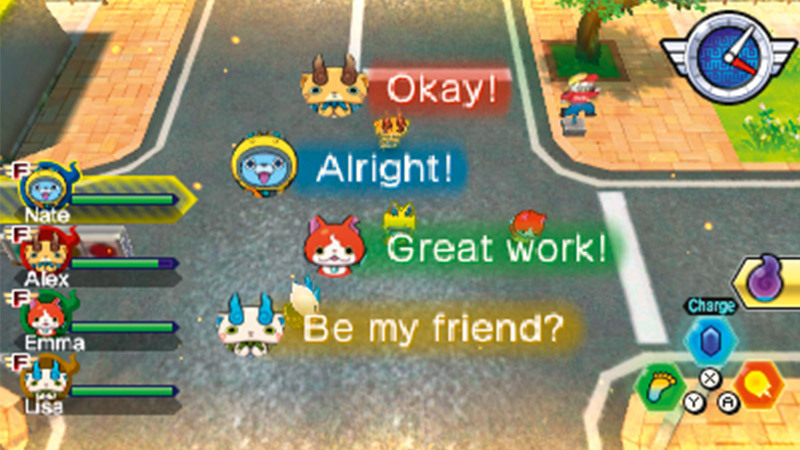 You can befriend all friend Yo-kai from all versions of the YO-KAI WATCH 2 game, boss Yo-kai, plus the all-new Usapyon, Blizzie, and more. 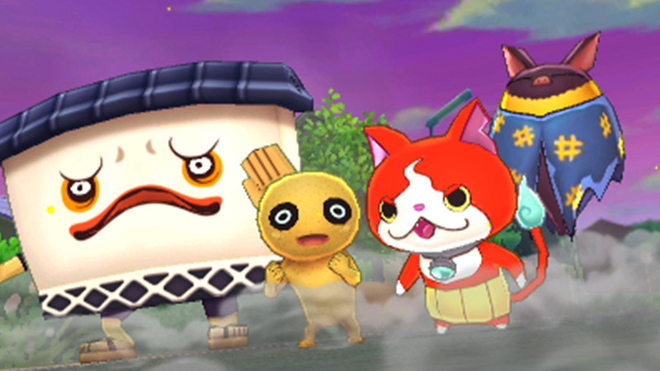 Link save data with a version of YO-KAI WATCH 2 to befriend special Yo-kai. 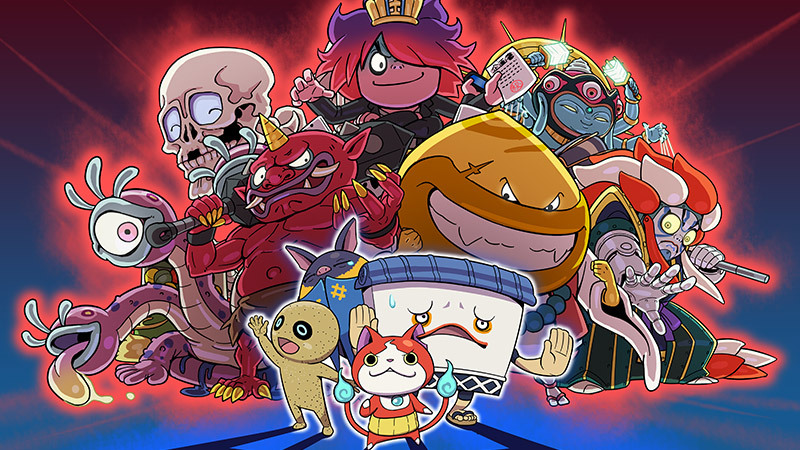 Uncover new sides to the story as well as new Yo-kai, bosses, and missions with a post-launch software update! 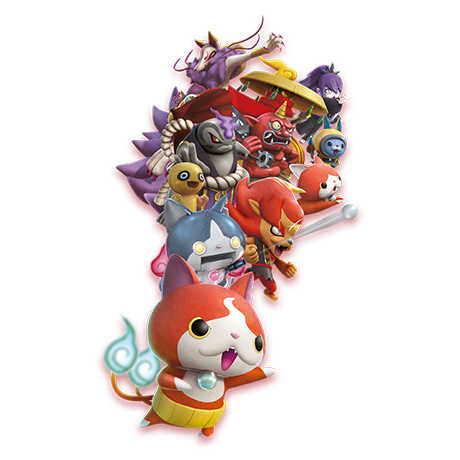 This bundle includes the Jibanyan Multi-Case! Store and transport your Nintendo 3DS or Nintendo 3DS XL in this soft plush pouch in the shape of Jibanyan from YO-KAI WATCH. 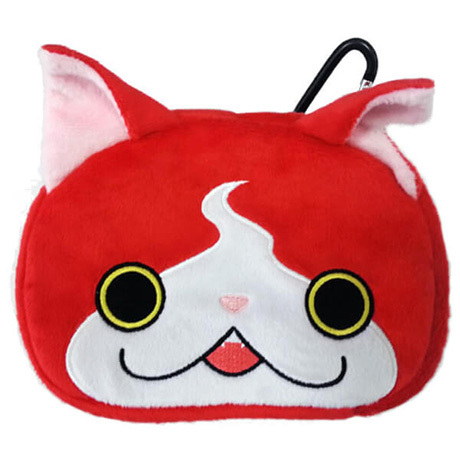 Featuring an inner pocket to store game cards and accessories, an easy-to-open zipper, and a colorful embroidered design, this case is both cute and functional!